You are currently browsing the tag archive for the ‘moles’ tag. So who’s evicting my seedlings? 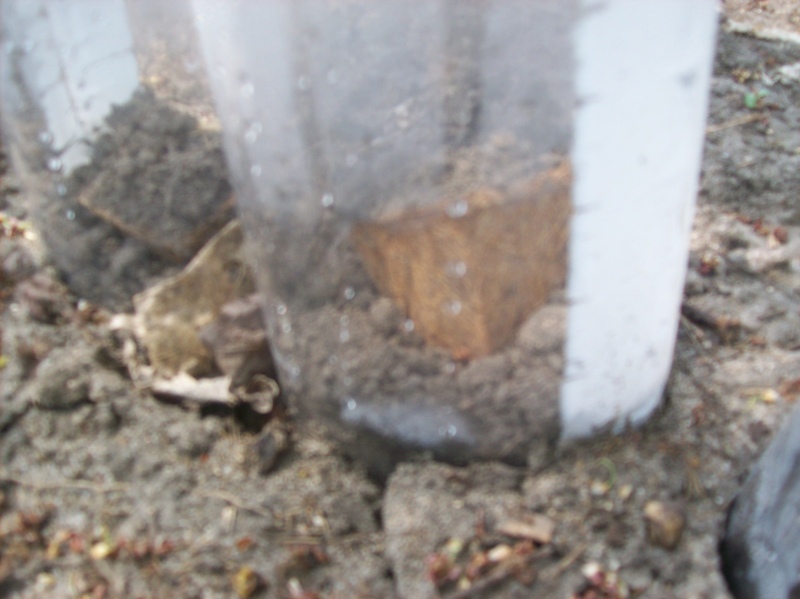 This is the mystery: I plant my seedlings in their little peat pots, and a week later, they’ve been pushed up and out of the garden. I’m guessing grumpy moles who don’t like bumping their heads when they are out on the prowl. What’s your guess? 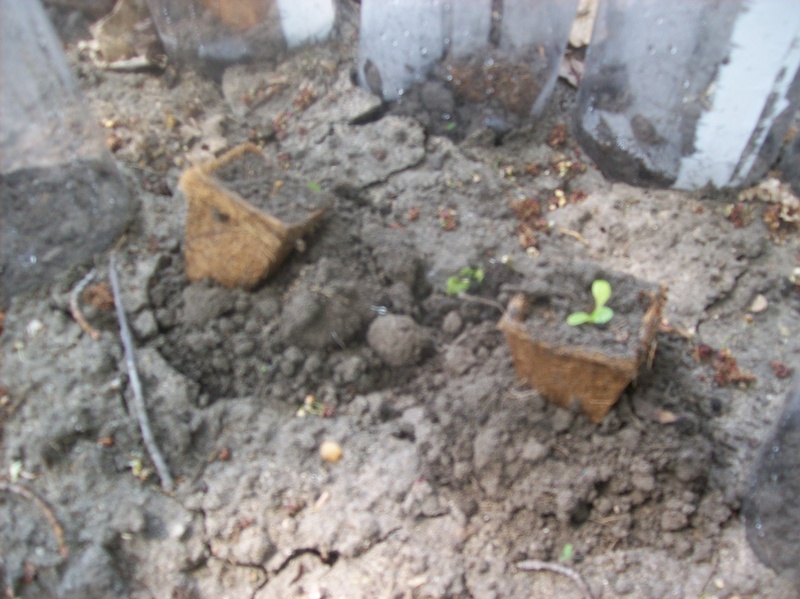 These are lettuce seedlings, planted under the protection of my improvised cloches (made from two-liter soda bottles). I simply can’t think of any other way these seedlings might be jumping our of their garden beds.